Manage and grow your business relations with ease. 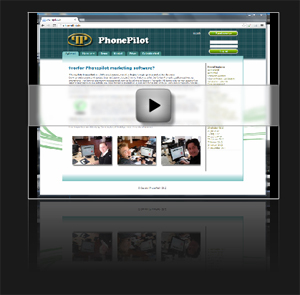 Phonepilot’s user interface is 100% web based, all work is done on the internet in a browser. The 4 largest browsers are supported: Internet Explorer, Google Chrome, Firefox and Safari. Therefore, Phonepilot also works on Mac computers, IPhones and Google android phones. This way you have access to your projects, no matter where you are. FINALLY HTTPS ! It was not easy, because we didn't want to move server and disturb the users, but we have it now. User friendly for the sales agent and still highly adaptable for the manager. PhonePilot has an unusually colourful, user friendly design, making it addictive to the sales agents. Motivated agents always perform better. 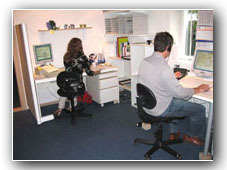 You want your agent feeling good, happy about what he or she is doing all day long. PhonePilot even has a softphone integrated in the browser. This is unprecedented and makes dialing a breeze. Still, managers can customize the user interface to fit different project types. Effective marketing. With an outbound CRM system, the main focus is on marketing. You want more clients for your business, so with a list of potential clients you just call them automatically and with their permission, continously send them predefined mails from the system. You can use ANY phone system, and you can send mails from yourself or from ANY of your clients that you are doing marketing for. Phonepilot integrates numerous technologies for automatic phone calls: Skype, X-Lite, Linksys, digital phonesystems etc. A phoner calling around 50 customer subjects every day, does not have to type the number every time and by using Skype or for instance the company’s ip phones the quality of the call is the same as usual. Additionally, the project managers gets the possibility to access different kinds of call statistics, such as time spent on the phone, and mail the results automatically. 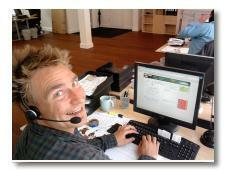 Basically, Phonepilot optimizes all processes in a telemarketing company or a marketing department. PhonePilot 1, was developed in Java in cooperation with Tele-Mark A/S by Martin Kjær based on his experience as a phoner for AsschenFeldt’s book clubs and launched in August 2000. 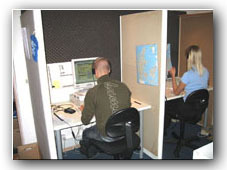 PhonePilot 2, was developed as a graduation project from Aarhus Business College by Martin Kjær and Michael Tjener Pallesen and launched on November 3, 2003. This version was the first one to be used by other companies than Tele-Mark A/S. PhonePilot 3, is the first purely web based version developed by Martin Kjær who in 2013 has 11 years of experience with Microsoft .NET programming and Java. To develop telemarketing and phoner software with a high degree of functionality and userfriendliness to be used by IT specialists as well as beginners. To facilitate the working process through the software. This is done by omitting unnecessary work with the mouse in the most frequent working processes to maximize efficiency. 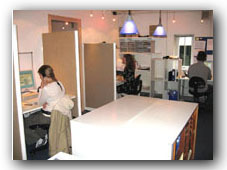 Phonepilot has been working successfully with the system since 2000. 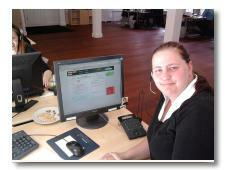 The pictures are showing phoners at Tele-Mark A/S in Aarhus, the first company to use Phonepilot. Today Tele-Mark A/S has more than 30 users daily. Watch the demo video to the right and fill out the fields below to receive demo login per email. It is completely free of charge. Christianshusvej 29, 2970 Hørsholm, Denmark. The system can be leased on a server administered by PhonePilot, for a number of users on a monthly basis. The lease can be terminated with one months notice. Support af superuser(s), guaranteed functionality for the 4 supported browsers. Support includes training of superuser(s) in Phonepilots. A superuser is defined as the person in the company who knows everything about the system and how to use it. The superuser deals with questions from the normal users. At first use, the company will normally have 1 superuser, at continued use 2 superusers are recommended. Integration af not already supported phone systems. Support without support agreement 80 USD pr. hour. Supported browsers: Internet Explorer, Google Chrome, Firefox og Safari. Phonepilot can be bought with a limited number of user licenses for a company including its sub branches. Phonepilot can be purchased to run on buyers own server with an unlimited amount of user licenses including all exstramodules. Including support, installation and all updates for 1 year. 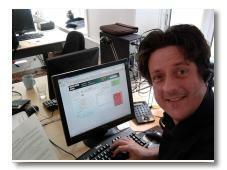 Installation on server, training of 1 superuser, 1 year warrenty for the 4 supported browsers. 1 years support of superuser and access to all updates including new modules. Integration of not already supported phone systems. Remote backup, makes it possible to see all the data in the system at any given time in the past. Alle prices are in US Dollars. Can I be sure that no unauthorized person can see my data? -Yes, you can be 100% sure. Only one person in the company has access to Phonepilot’s server. You will receive the direct phone number to this person and we guarantee that no other than you and the persons in your company who are set up in the system have access to the data which are uploaded and generated in daily use. We do not want to tell the hackers about which type of security we use however we guarantee the it complies with all international standards. Until this date we have had no violations of the security. "All data which your company has placed in Phonepilot including users, customers, prospects and all other data will only be accessible to parties already confirmed by you. "